What type of wine is Dugout? The Dugout is a blended red wine with the perfect marriage of 68% Cabernet Sauvignon, 18% Merlot, 14% Cabernet Franc.This wine contains grapes from seven different years. Dugout is a dry red with a hint of pepper and a smooth finish. It has a powerful nose and is very full bodied. What types of food would you pair this Dugout with? This wine pairs fantastically with a steak. It also goes really well with a nice cheddar cheese. 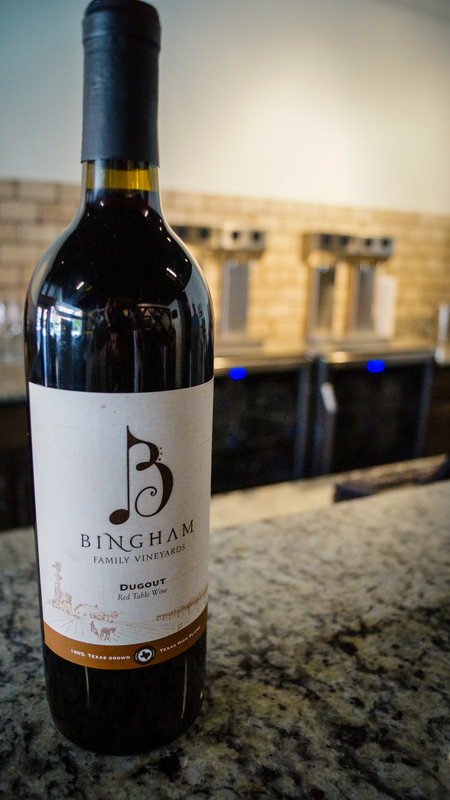 The Bingham family has been farming for over five generations and is one of the largest grape growers in the region (over 200 acres). When the family first homesteaded in Texas they lived in a dugout trench, that is how this wine got its name. The Binghams also grow cotton and peanuts. 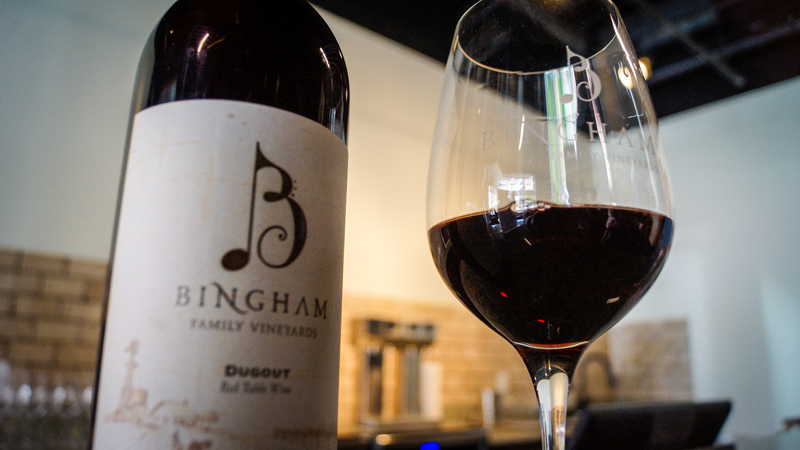 Head on over to Bingham Family Vineyards Tasting Room on Main St. to pick up your own bottle of Dugout! 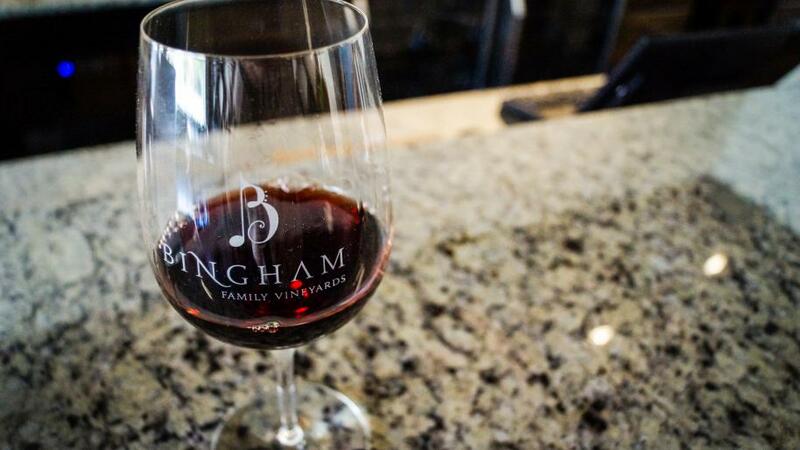 If you are interested in hearing more about the Bingham Family, they have a great online journal that talks all about their experience owning and running a winery. Tuesday - Thursday from 11 a.m. - 6 p.m.
Friday - Saturday from 10 a.m. - 8 p.m.